Gone, gone, gone is the era of the joystick and the Gameboy, and arrived is an age of Angry Birds and puzzle-game ubiquity. Mobile gaming has come a long way since the days of Nokia’s N-Gage, an era when the concept of media convergence was not only new but, to some, a bit off-putting – just see the abysmal sales figures of the device Nokia was forced to hide behind. But today, according to a 2012 Pew Research Center survey, more than 60 percent of tablet users spend their time playing video games. For perspective, less than 10 percent of those folks spend their time checking social media on their mobile device, and less than 5 percent spend their time using messaging services. If Aunt Susie says she’s checking her email when you see her tapping away at her tablet, chances are, she’s lying. Moreover, at the time of the research, 76 of the Top 100 iOS applications on Apple’s App Store were game-related. That’s a lot of iPhone and iPad games! Not one to be coy, handheld juggernaut Nintendo acknowledged in a Spring 2012 press conference that the rise of the iPhone has left the company with wounded – and still bleeding — software sales. In 2008, the company sold nearly 200 million copies of handheld software for its Nintendo DS portable; in 2012, that number, with the combined software sales of the 3DS and DS, had shrunk to a strong but disappointing 100 million. Electronic Arts, at one point the largest video game development studio of its kind, got ahead of the game by launching EA Mobile in 2004, a division of the company focused specifically on the development of mobile games. 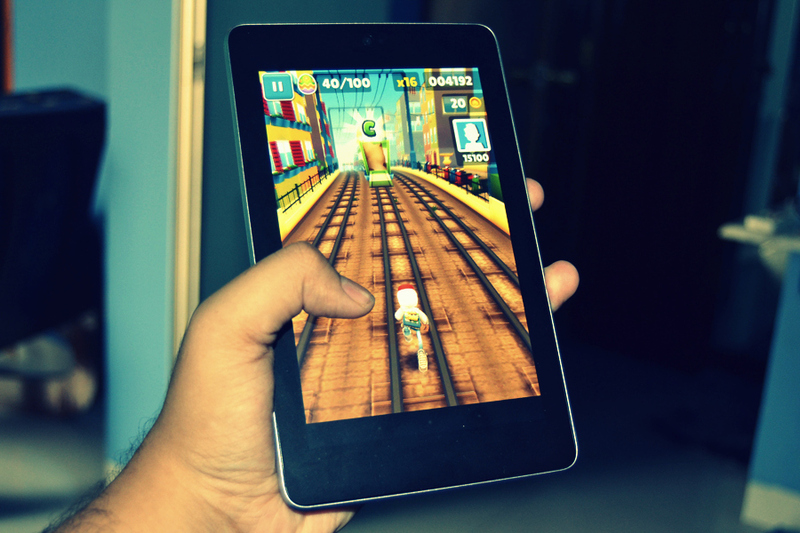 The company has since created mobile versions of its popular franchises – Need for Speed, Bejeweled, The Sims, FIFA, etc. – and cultivated relationships with mobile carriers like Sprint, Verizon, and AT&T to keep up with mobile gaming trends. Cementing its commitment to mobile games, EA Mobile acquired Angry Birds publisher Chillingo for $20 million in 2011. (Notably, the purchase did not include the Angry Birds property – that, surely, would have been a much more costly acquisition.) The result is a marked shift in who makes up the gaming community. A March 2012 Newzoo Report studying the growth of mobile gaming in the United States found year-over-year growth of 35 percent, with the number of Americans who play games on their smartphone, tablet, or iPod Touch estimated at 100 million. But most surprising, is the shrinking gender gap in gaming. Fifty-two percent of American mobile gamers are male. Whether that now slight majority is a result of an extensive casual marketing campaign sparked by Nintendo’s Wii and Nintendo DS circa 2004 is a point of intrigue, but it’s undeniable that mobile gaming is only expanding the audience the video game industry is reaching. According to Flurry, women make up a staggering 53 percent of mobile gamers worldwide. Thanks to the significant push mobile carriers are making with mobile gaming, and adoption rate of smartphones and tablets, this inevitably means upped ante for advertisers, who will soon see mobile games as a more lucrative spot for their marketing push and, for aspiring developers, a means of access. After all, a 99-cent video game on the App Store doesn’t require the multi-million dollar budget of a flagship console title. Or, put simply: It’s springtime in the mobile gaming world. Good read. Hate to admit it but given the luxury of time these days, I can’t sit around my house in front of a TV or a PC. Being on the go makes mobile (and tablet) gaming a great time killer while waiting. I would say mobile is my main source of entertainment i used my mobile mostly for game purpose. I really hate all those extra game devices even they are portable. BTW thanks for sharing superb article.